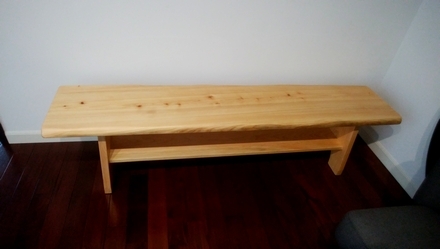 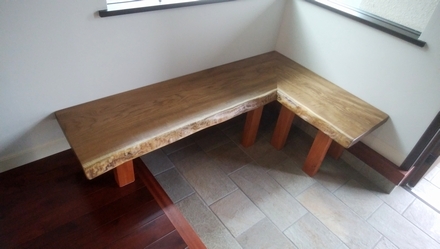 We made a delivery of a L shaped bench made from Kihada and a counter table made from Zelkova to the owners of a newly built house! 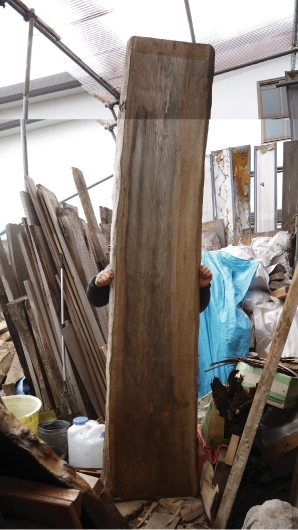 The Kihada had been drying for 5 years, and the Zelkova had been drying for 20. 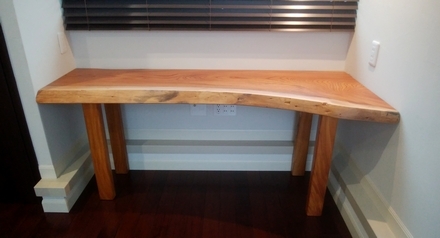 Both the bench and table were not polished at all when the customer picked it out. 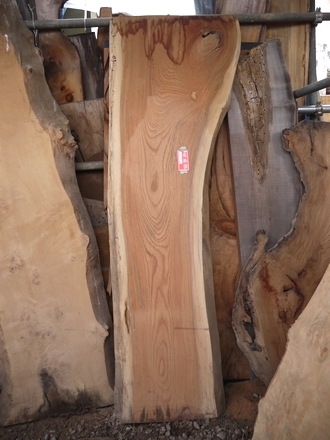 At Kiraku Workshop, we oversee everything from buying the logs to delivery, wihch enables customers to come see cut, raw unpolished slabs of various shapes and sizes that are not yet on the stock list. 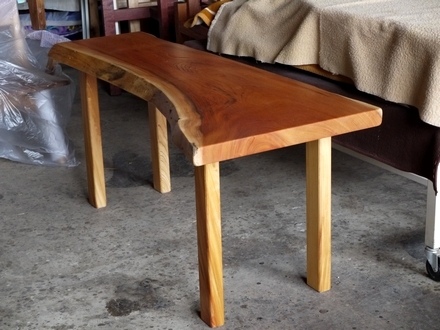 Polishing brings out the beautiful patterns and color of the wood. 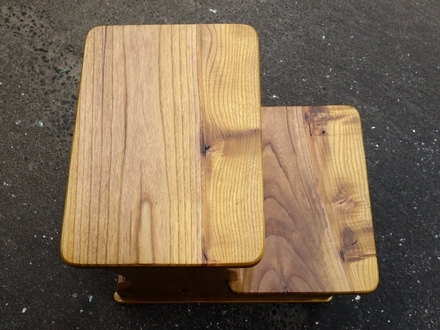 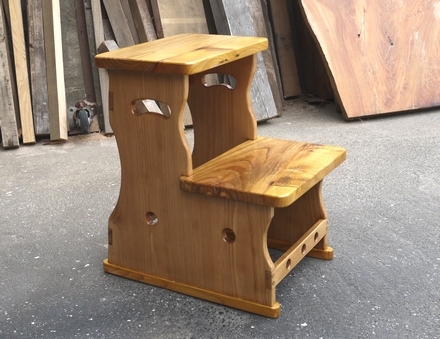 We also gave the customers a present of a bench, which is given to all customers with purchases of over 300000 yen. 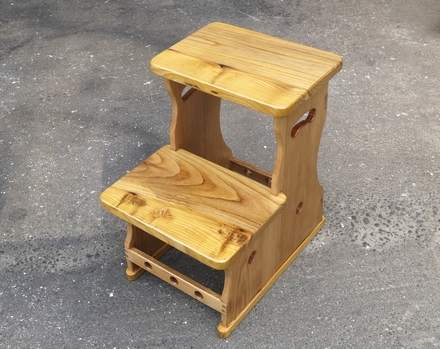 couple bought it as their mother's present who lives in the Tohoku region. 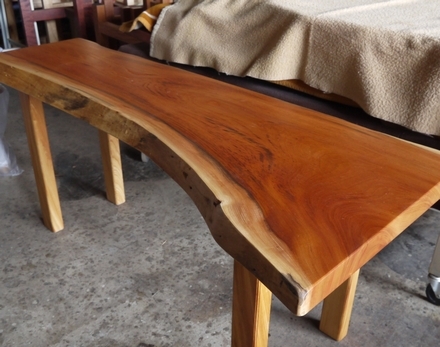 This is a slab of amur cork tree. 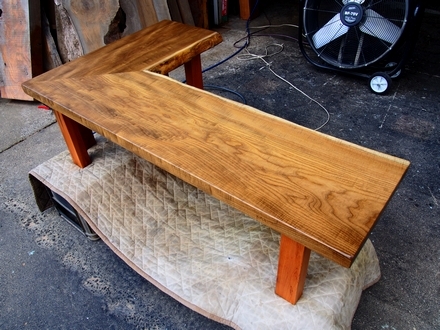 It will be an L-shape bench. 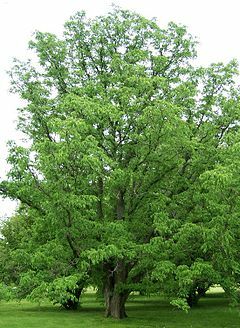 The amur cork tree has a clear grain. 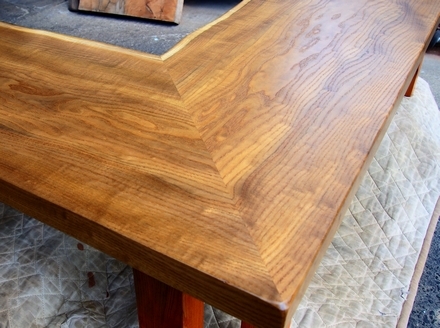 Very excited to see the pattern come out after polishing!